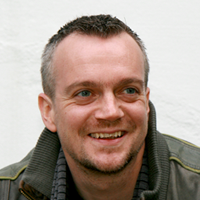 Martijn Verburg is the CEO and co-founder of jClarity a Machine Learning based Java/JVM performance analysis company. He is the co-leader of the London Java User Group (LJC) and leads the global Adopt a JSR and Adopt OpenJDK efforts to enable the community to contribute to Java standards and OpenJDK. Martijn is the co-author of "The Well-Grounded Java Developer" on Java, Polyglot Programming on the JVM and modern software development techniques. Martijn also acts as a community leader for the PCGen and Ikasan open source projects, moderates at the Javaranch and can be found answering thorny questions on the programmers stack exchange sub-site. He was made a Java Champion in recognition for his contribution to the Java ecosystem. He's a popular speaker at major conferences (JavaOne, JFokus, OSCON, Devoxx etc) where he is known for challenging the industry status quo as "the Diabolical Developer".